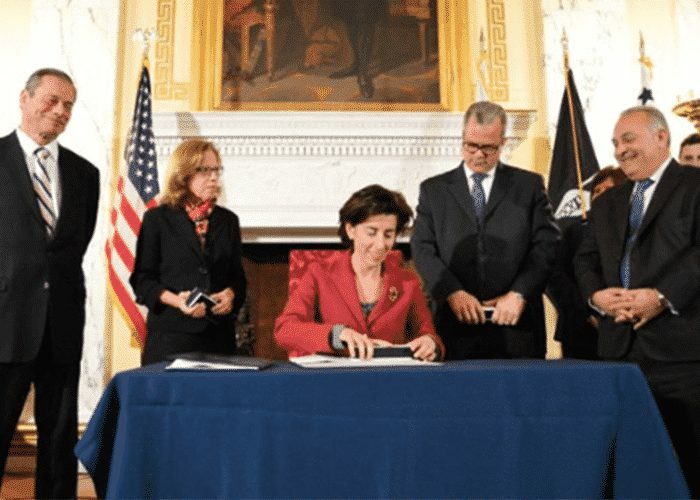 In a whirlwind of legislative activity, Rhode Island Governor Gina Raimondo signed her controversial truck-only toll bill into law last night. The bill will target truckers — many of them from out of state — by charging them up to $20 to cross the state on I-95 in order to cover the costs of highway and bridge repairs that Rhode Island desperately needs to make. The Rhode Island Trucking Association has repeatedly warned lawmakers that many truck drivers will refuse to enter the state if the bill passed, which could have potentially disastrous consequences for Rhode Island’s economy. The ATA also has plans to challenge the constitutionality of the new law.